This hemp/organic cotton jersey is a lovely, lightweight knit similar to the linen knits that we carry in texture, but more substantial. It has a rustic texture with some characteristic irregularities in the weave, and is soft and drapey yet nearly opaque with a matte finish. It has about 30% stretch in the width only. 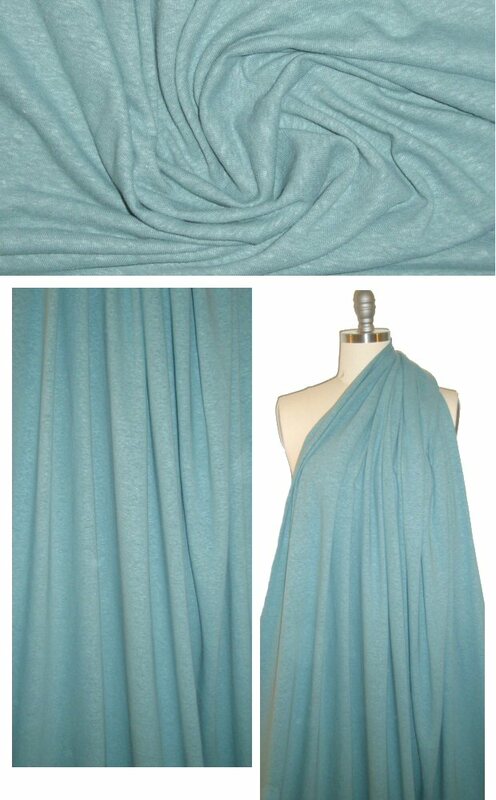 Perfect for tees, tops and tunics, loungewear, baby and kids clothing, yogawear, and the color is dusty teal (PANTONE 17-4911 is close). 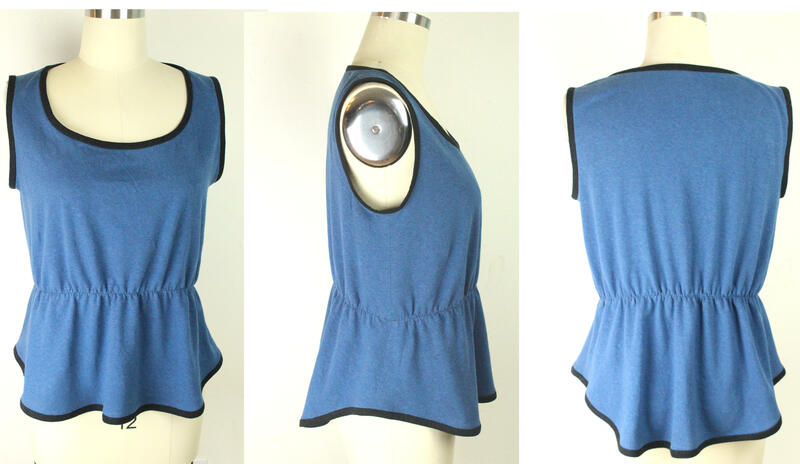 Eco-friendly, organic fibers, non-toxic dyes. Cut in single layer layout. Hand wash, cold water, and hang or lay flat to dry. No bleach.